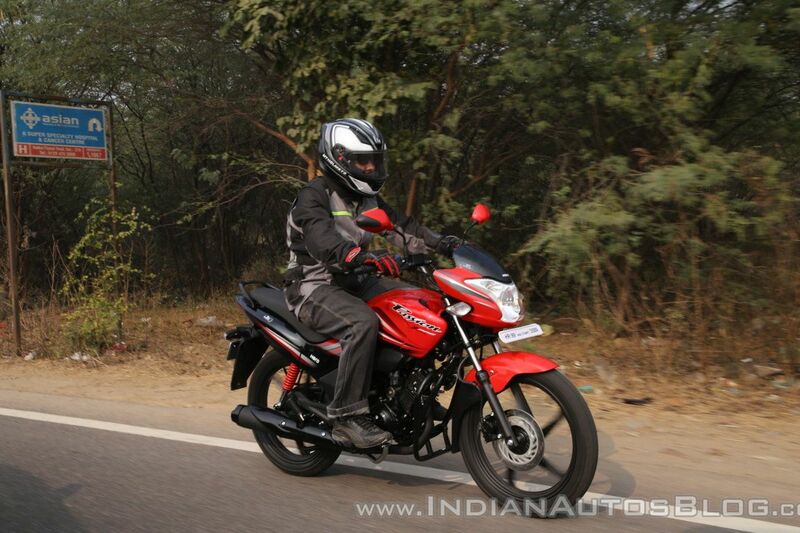 Hero MotoCorp is synonymous with no-nonsense commuting. With over 6,000 dealerships spread across the country, the Indian bike maker has given wheels to millions of customers across the nation. 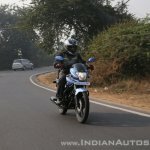 Being the largest two-wheeler manufacturer in the world, the brand clocked 75 million-unit cumulative sales in September. This has been possible primarily through its bread-and-butter models like the Splendor and the Passion range. 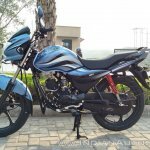 Hero recently unveiled the 2018 Hero Passion Pro, Hero Passion XPro, and the Super Splendor. 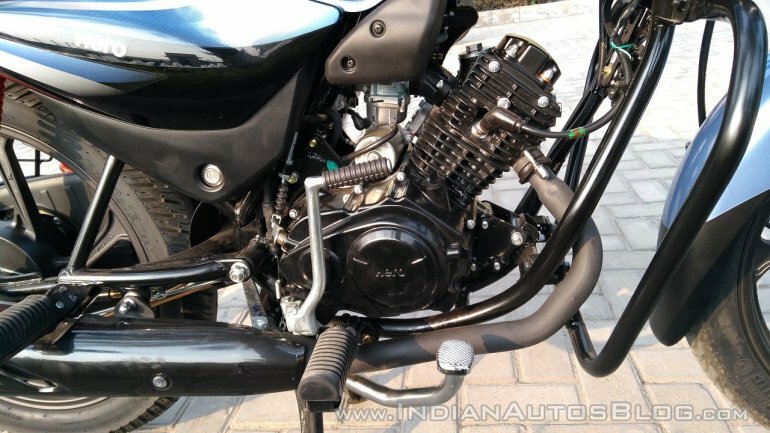 The 2018 Hero Passion Pro and the Passion XPro now feature a bigger 110 cc engine, apart from visual changes. Here’s what we have to say about the new Passion twins after a brief test ride. Hero has made subtle design changes to the Passion Pro. The front fascia is a bit sharper, and the fuel tank has been redesigned for a more muscular look. 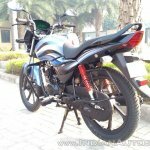 The tail light design is fresher, and the bike features new graphics as well. The new Hero Passion Pro is available in five new colours - Sports Red, Black monotone, Force Silver Metallic, Heavy Grey Metallic, Frost Blue Metallic. The Passion XPro, on the other hand, is a more youthful looking bike when compared to the Passion Pro. 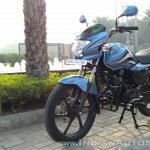 The headlight profile is sportier than the Passion Pro and comes with pilot lamps. 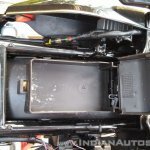 The fuel tank extensions demarcate the bike from the Pro variant. The rear comes with an LED light, and an optional tyre hugger is available as well. There are five dual-tone colours to choose from - Sports red with black, Black with sports red/ techno blue/ heavy grey, and Force silver with black. 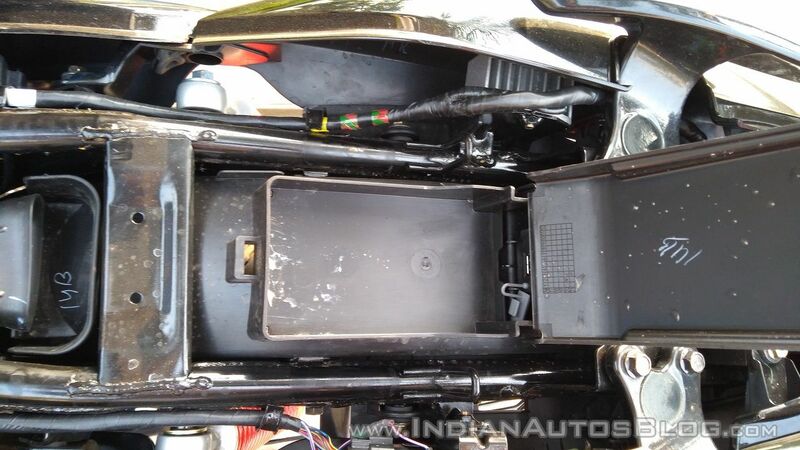 Another optional feature is the mobile charging port under the seat. To access it, one must open the seat using the key, and then place the phone inside the compartment. In all honesty, though, it is a hassle to open the seat every time you want to charge your phone. However, it is definitely a nifty feature to have. The instrument cluster is an analogue-digital combo unit, which also features a side stand indicator. The Passion XPro comes with dual-tone mirrors. 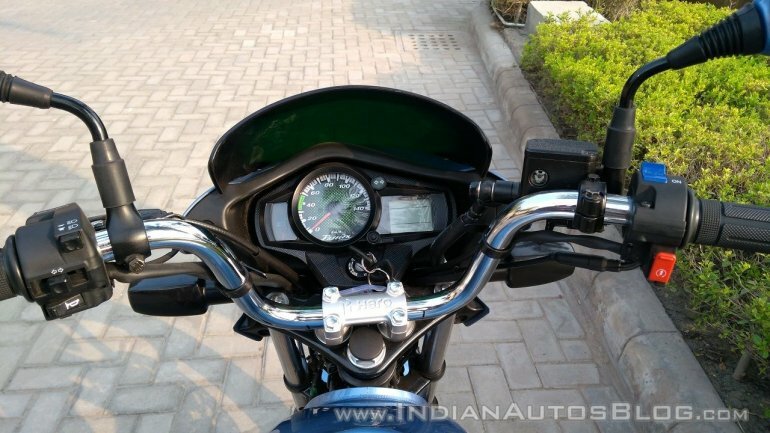 However, the rear-view mirrors on both the motorcycles have big blind spots and the dual-tone unit on the XPro tapers out, which doesn’t aid visibility all that much. 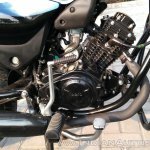 The biggest change Hero has made to the bikes is the engine. The two motorcycles now employ an indigenously developed 110 cc motor that also does duty on the Splendor iSmart 110. 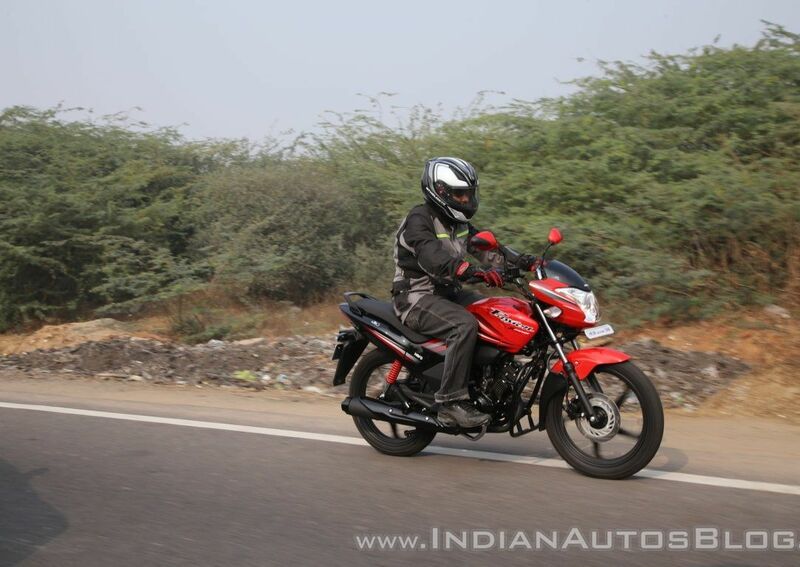 Hero claims the engine offers 12% more power and torque than the previous generation 100 cc mill. The powerplant generates 9.4 PS of power at 7,500 rpm and 9 Nm of torque at 5,500 rpm. The engine pairs with a 4-speed gearbox with an all-up pattern. On the road, the mill feels adequately powerful for city riding. The fourth gear is tractable enough to pull all the way from 25 kmph. 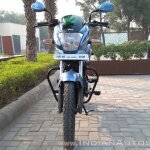 This makes it convenient to ride the bike in top gear in the city, thus translating into better fuel efficiency. However, post 65 kmph, the engine tends to run out of breath, with vibrations starting to creep in via the footpegs. Hero claims a 7.45 s acceleration time from standstill to 60 kmph for both the motorcycles. The engine comes with Hero’s i3S technology, which switches it off when idling after a few seconds. The engine comes back to life on pulling the clutch lever. This feature helps in conserving fuel during long traffic stops. The feature can be disabled as well. 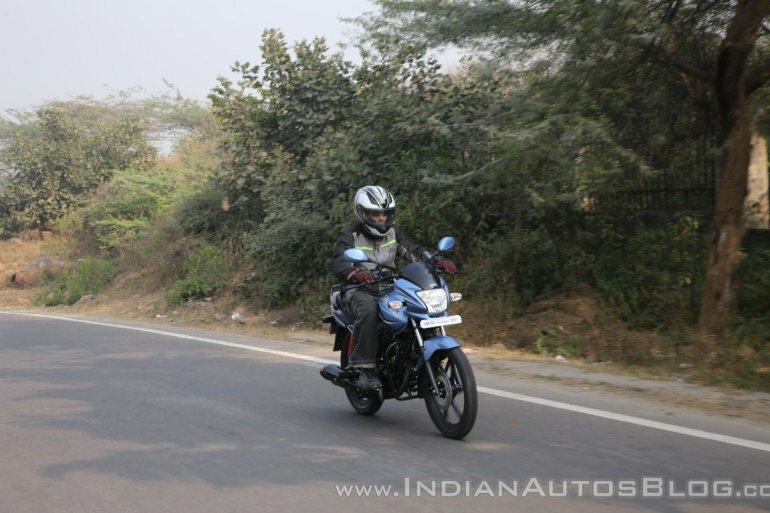 Hero Passion XPro's fule tank is smaller by 1.8-litre when compared to the Passion Pro’s 11-litre unit. The two motorcycles employ traditional telescopic front forks and twin rear shock absorbers. The damping is slightly on the harder side but helps address road undulations and the bike goes over bumps without a thud, squeak or rattle. For added convenience, the rear suspension is five-step adjustable as well. The ground clearance stands at 165 mm for the two bikes. 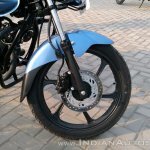 Both bikes come with 80-section front and 90-section rear tyres, shod on 18-inch alloy wheels on both ends. Brakes include a front 130 mm drum and 130 mm rear drum. An optional 240 mm front disc variant is available as well. We’d recommend the disc brake variant as it offers a better bite and progression. The rear drum unit could do with a bit more with the feel, though. 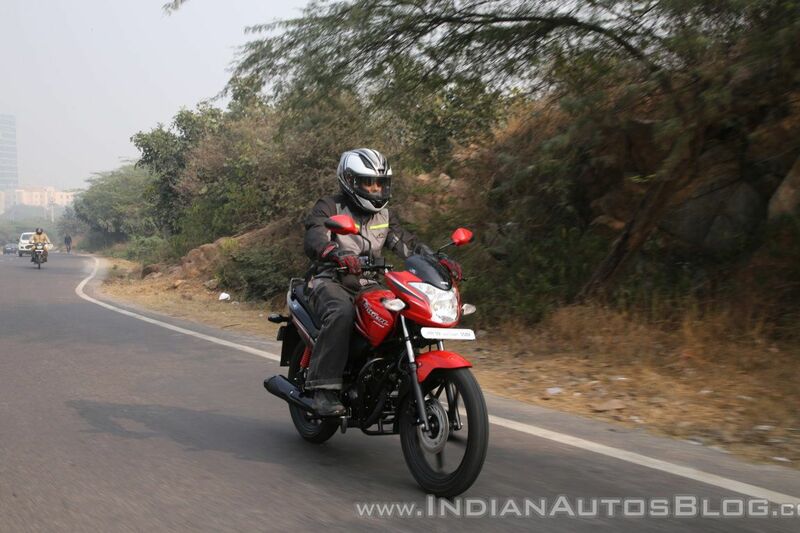 The two motorcycles are quite agile and make it easy to zip around through traffic thanks to their low kerb weights. At 119 kg, the Hero Passion XPro is 3 kg heavier than the Passion Pro. The riding position is upright, and the seats are well cushioned for long commutes. 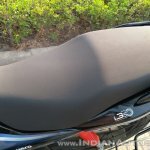 Hero will announce the prices of the two motorcycles only in January. 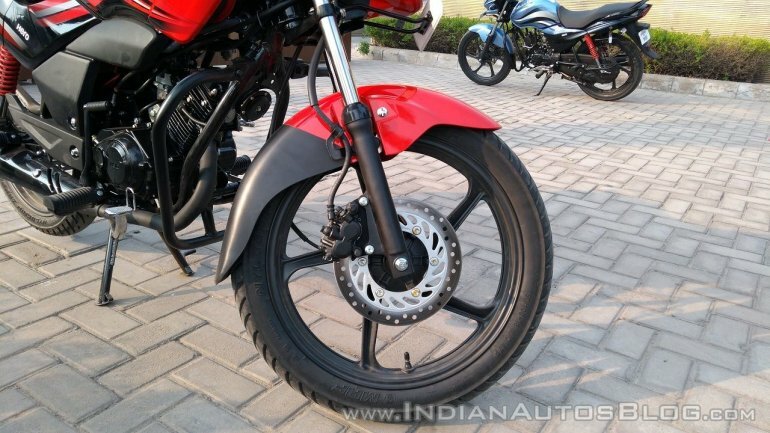 The previous generation Hero Passion Pro costs INR 54,244, ex-showroom Delhi for the disc brake alloy wheel variant. 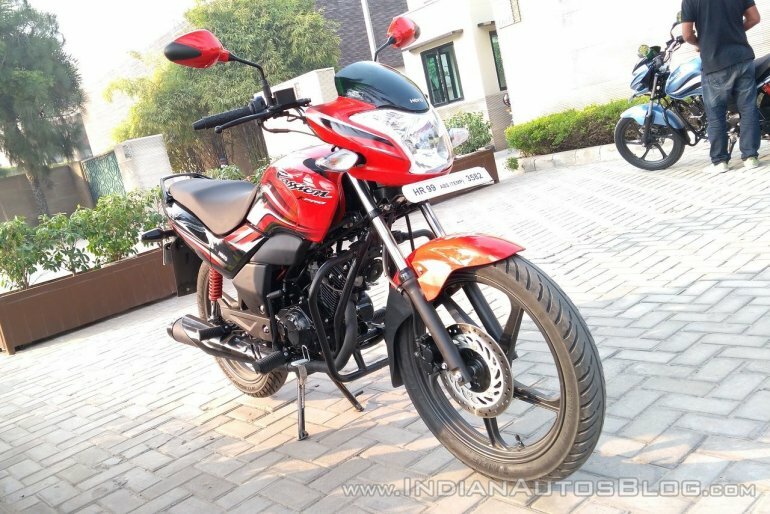 Hero discontinued the previous generation Passion XPro in May, this year. 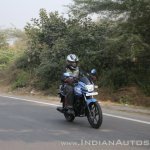 Expect the bikes to carry a price tag of around INR 56,000 for the new Passion Pro and INR 57,000 for the Passion XPro. 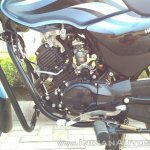 The bikes rival TVS Victor, Honda Dream Yuga, Dream Neo, Yamaha Saluto RX, and TVS Star City Plus. The new engine in the two motorcycles makes them better, more powerful commuters than the previous generation bikes. 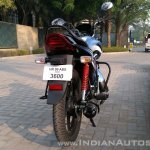 Hero has updated the two motorcycles with just the right amount of style to ensure they continue to appeal to their target audience. The Hero Passion XPro will appeal a younger audience looking for a budget bike. If you are the kind of person who wants a reliable steed to take you from point A to B without burning that big a hole in your pocket then these two motorcycles are a good choice. Add Hero’s huge service reach into the mix, and it’s a solid investment as far as affordable private transportation is concerned.